A Keylite Sun Lite Tunnels are Ideal for bathrooms, stairways and corridors Reduces the need for artificial lighting Precision flashings integrate seamlessly with all roofing materials. Easy installation Ideal for commercial and industrial applications available for flat or pitched roofs Flat Glass Top option available on request Bronze or Brushed Aluminium ceiling trim available. 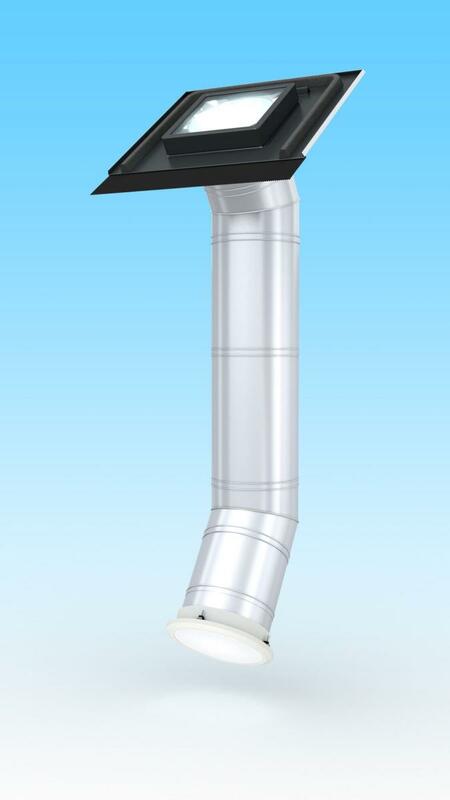 The Keylite Sun Lite™ includes: 530mm polycarbonate dome (with cutting template) Ceiling diffuser pipe Rigid or Flexi pipe system.